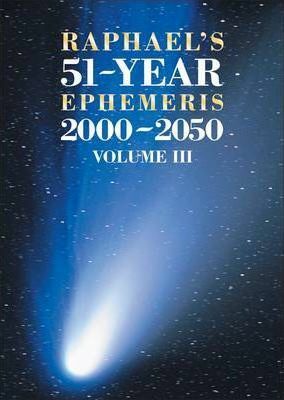 51 years with full Aspectarian and Declinations Derived using NASA's very latest laboratory ephemeris DE406/LE406. Unique Raphael's Aspectarian. The most accurate multi-year ephemeris that money can buy.